Featured amenities include complimentary wired Internet access, a 24-hour front desk, and luggage storage. This property has 2 meeting rooms available for events. A roundtrip airport shuttle is provided for a surcharge (available 24 hours), and free self parking is available onsite. Featured amenities include a business center, dry cleaning/laundry services, and a 24-hour front desk. Planning an event in Runaway Bay? This property has facilities measuring 3000 square feet (279 square meters), including a conference center. Free self parking is available onsite. 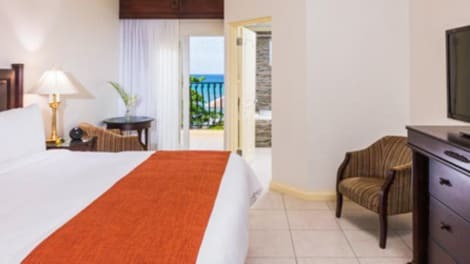 With a stay at Jewel Runaway Bay Beach & Golf Resort All Inclusive in Runaway Bay, you'll be by the ocean, within a 10-minute drive of Green Grotto Caves and Cardiff Hall Beach. This 4-star property is 13.9 mi (22.4 km) from Dolphin Cove and 14 mi (22.5 km) from Dunn's River Falls. Enjoy international cuisine at Don Pablo Restaurant, one of the property's 6 restaurants, or stay in and take advantage of the 24-hour room service. When you are in need of a refreshing drink, visit the beach bar or one of 5 bars/lounges, or 4 poolside bars. With a stay at Villa Sonate in Runaway Bay, you'll be next to a golf course, within a 10-minute drive of Green Grotto Caves and Runaway Bay Beach. 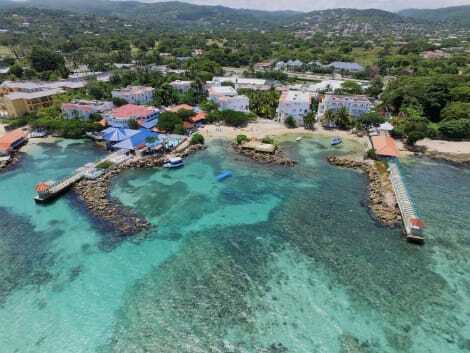 This beach guesthouse is 14.5 mi (23.3 km) from Dolphin Cove and 14.5 mi (23.4 km) from Dunn's River Falls. With a stay at The Cardiff Hotel & Spa in Runaway Bay, you'll be near the beach, within a 10-minute drive of Green Grotto Caves and Runaway Bay Beach. This resort is 14 mi (22.5 km) from Dolphin Cove and 14.1 mi (22.6 km) from Dunn's River Falls. Featured amenities include a business center, dry cleaning/laundry services, and a 24-hour front desk. Planning an event in Runaway Bay? This property features 16146 square feet (1500 square meters) of event facilities. A roundtrip airport shuttle is complimentary (available 24 hours). lastminute.com has a fantastic range of hotels in Runaway Bay, with everything from cheap hotels to luxurious five star accommodation available. We like to live up to our last minute name so remember you can book any one of our excellent Runaway Bay hotels up until midnight and stay the same night.